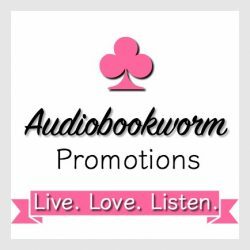 ← Experience the American Revolution under the historical pen of Jerri Hines in her saga series of WINDS OF CHANGE ~ this one is riveting! About the Story: Disgraced lady Daisy Warren serves ale in a tumbledown inn, sings crude songs for the smugglers, and writes romantic novels in her spare time. Shunned by her own class, she’s resigned to her lowly life—until someone tries to kill her. Gentleman spy Sir Julian Kerr noses out seditionists and traitors. When he visits the inn to investigate two suspicious Frenchmen, he meets the lovely but hostile Daisy. He doesn’t intend to get involved with her—but then he learns that someone is threatening her life. He wants to find out more—it’s part of his investigation. He wants to protect her—he’s a chivalrous man. He wants her. But will Daisy’s bitter past allow her to risk love again? This story is just as delightful as everything else I’ve read from this author. She manages to ensnare the reader without resorting to dire straits, but rather the quaintness of the setting in a humorous situation. Did you take a look at the cover? It says it all! Rock Buns play a large role in this story – I have never heard of them. Here’s a recipe. I wonder if it’s better than Daisy’s? Break egg into a small bowl and beat with a fork. Add egg to mixing bowl and mix. Add 1 – 2 tbsp of water if the mixture does not stick together. The mixture must be firm enough to stand alone on the baking tray in lumps. Place heaps of the mixture on the tray. Make sure that they are all an even size. Bake them for approximately 15 minutes, or until golden brown. Miss Daisy, for that is what she prefers to be known as, has changed her life. She lives among ‘real’ people, people who don’t get hung up on the properness of a situation. She’s lives in an inn, the Diving Duck, even though she comes from a well-heeled family, however the Warrens tend to have tarnished reputations. It’s just in their blood. Miss Daisy has a yearning to live life. She’d love to see the world and experience it all. She started with seducing a gypsy. Of course, she regrets it – the experience wasn’t what she thought it would be. Unfortunately, society has ostracized her, as they would all women doing what she’s done, and so to save her family from further embarrassment, she moves to the inn. Her habit of scowling and being nasty tempered keeps most people away from her. But Miss Daisy has more than a nasty temper. She has a nasty habit. She writes. She writes novels and hides her writing and dealings with the publisher by also working on a cook book. Her books are of feisty woman, doing what she wishes her life has been. It’s a total secret, about writing, and she is quite successful with it, but the cat’s out of the bag, and with that her life spins out of control and we get to enjoy the roller coaster ride. While Miss Daisy has a secret, so does one Sir Julian Kerr. Spies need to stay incognito. His family is known for their polite, demur demeanor. He is kindness itself. No one would suspect his profession while playing the role of a scholar. He hates his job; he hates sneaking into people’s lives and informing on them. When he meets Miss Daisy at the Diving Duck, he is amused, intrigued and just plain curious about her, because she doesn’t add up. Two and two are not four with Miss Daisy. But attracted he is, even though she scowls and is ill-tempered most the time. Sir Julian knows she’s hiding something and the spy in him needs to fetter it out. Another character of import is Gloriana. A social climber, determined to catch a man higher than her station, she is or was best friends with Daisy. We glimpse the softer side of her nature, however, she’s out to get what she wants. But, the problem is, what does she want? She’s a most enjoyable, complex person, as many of us are! Truly enjoyable with humor lurking ‘round the corner, I recommend the series and the book. About the Author: Winner of the Holt Medallion, Maggie, Daphne du Maurier, Reviewer’s Choice and Epic awards, Barbara Monajem wrote her first story at eight years old about apple tree gnomes. She published a middle-grade fantasy when her children were young. When they grew up, she turned to writing for adults, first the Bayou Gavotte paranormal mysteries and then Regency romances with intrepid heroines and long-suffering heroes (or vice versa). Some of her Regencies have magic in them and some don’t (except for the magic of love, which is in every story she writes). Barbara loves to cook, especially soups, and is an avid reader. There are only two items on her bucket list: to make asparagus pudding and succeed at knitting socks. She’ll manage the first but doubts she’ll ever accomplish the second. This is not a bid for immortality but merely the dismal truth. She lives near Atlanta, Georgia with an ever-shifting population of relatives, friends, and feline strays. 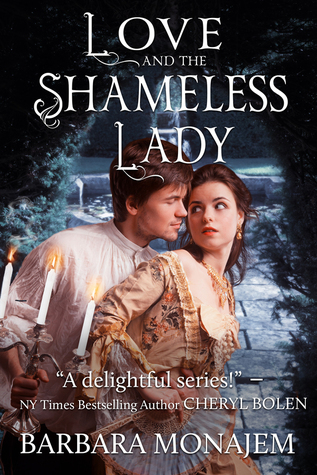 This entry was posted in Book Reviews, Historical Romance, New Book Release, Regency Romance, Romance and tagged Barbara Monajem, historical romance, Love and the Shameless Lady, Regency Romance, Scandalous Kisses Series. Bookmark the permalink.